Hehe... That was my score too! "You got 40% of the questions right. Your brain loves a good challenge and yearns for a good exercise. You will solve these patterns again and again until you get them all right. It's just in your nature!" Oh well. It was fun! Got the same results as Essexboy. Got the same result as Essexboy too. And I didn't understand what I was looking for till the third question. Old, tired, bloodshot, hungover eyes. But if I'm in the top 4% it really can't be all that hard. 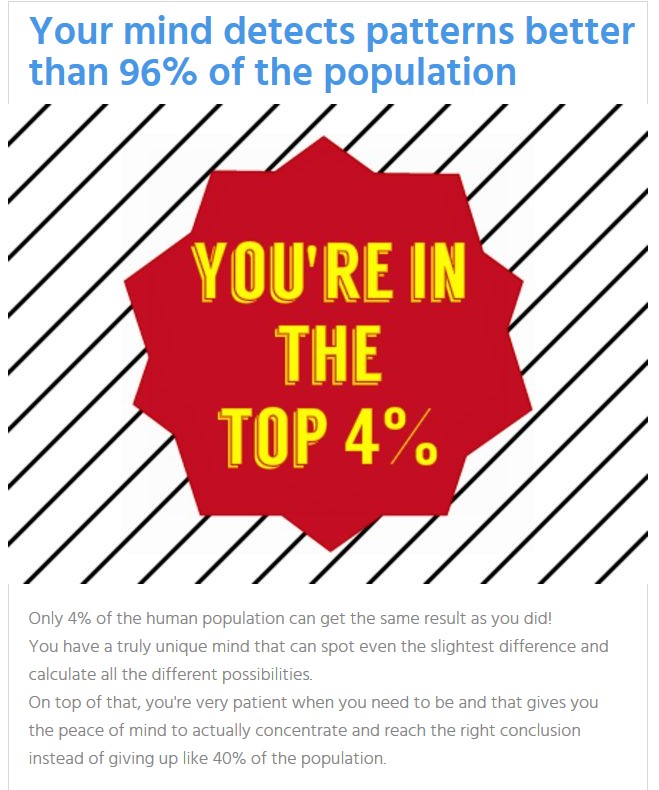 Top 4%, though I wouldn't like to even guess how many you need to get wrong before you score worse than that. Folk post this sort of question or quiz on Facebook nearly every day though, some are quite difficult, others a bit like this one and reasonably easy. Just a pity now that I failed my "O" Levels so well!! 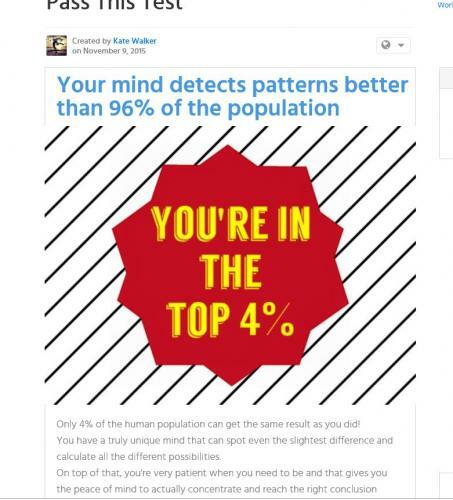 I too made it into the Top 4%. There were one or two questions that I had to really sit and think about, My eyes are really cross-eyed now after that test. 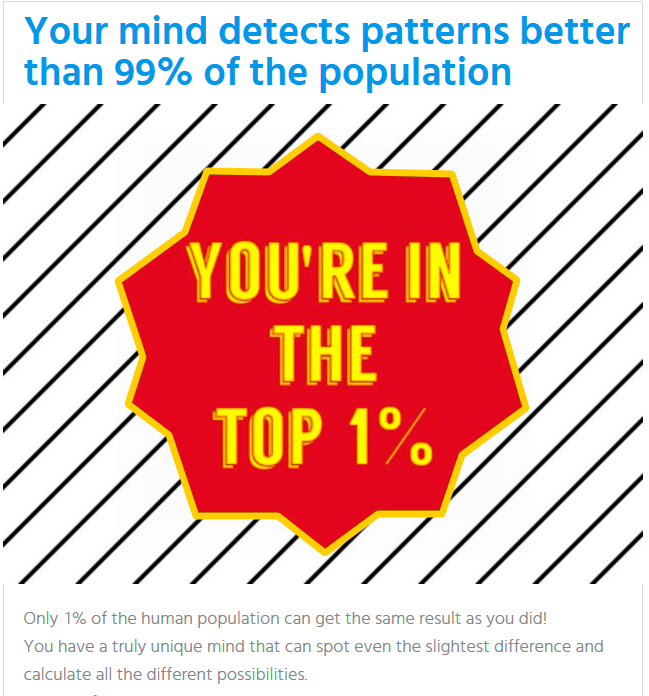 I wonder how accurate it really is though and would have liked to know which questions I got wrong. Either all of the top 4% are on the internet or this forum, or the test is rigged so that almost everyone gets the same brag-worthy results. ...Somehow I'm imagining the latter far easier.